IRS Address.org lists IRS Office Addresses with google map of each State’s IRS Office with hrs. of operation. Street View Map, Office Address page shown below. Compare federal office service ratings, know the IRS office to avoid, Vote and leave comments of your IRS office visit at the IRS Address in our listings. This site stores ratings of citizens experiance with the IRS Office local to you. If you were treated badly here is your chance to let others know. If the representitive was a good advocate for you then let others know which person they should look for. Many States have multiple addresses for the IRS Government Offices. Check the ratings and go to the one with the best ratings. It could save you money. Another site worth looking over for Tax time is IRSQuestions.org. 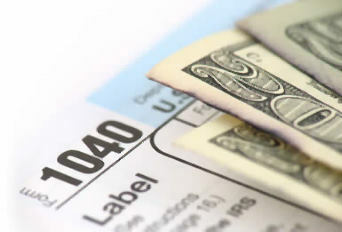 This site has many answers for common IRS Questions..
Leave a comment if you have any suggestions. IRSAddress.org is the best site to view IRS Offices. Now it’s easy to view any IRS Office. The IRS Address for Fredericksburg VA is useful if you need in person IRS Negotiation or Tax Questions regarding your Tax Return. This Google Map of the IRS Office Location and the Address of the local IRS Office is a conveniance offered by IRSAddress.org. The Fredericksburg VA IRS Address street view is above if available from Google. Additional contact informaton for this IRS Office is listed below. Find your local Internal Revenue Office at IRSAddress.org.